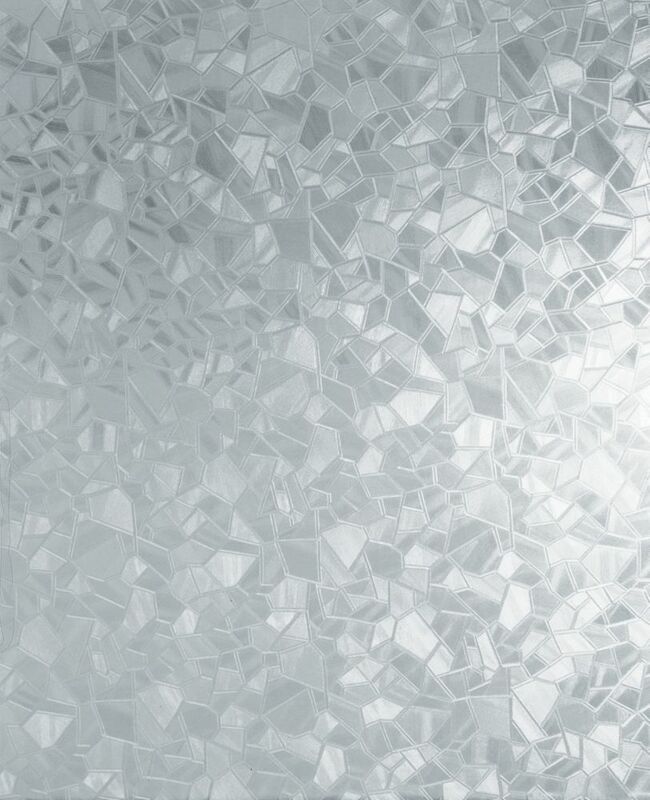 338-0019 Home Décor Static Cling Window Film 17-inch x 59-inch Splinter - 2 Pack Frosted splinter mosaic pattern is a static window film. Splinter looks like broken pieces of glass put together to make a uniform pattern. It offers privacy while still allowing light through. Our collection of d-c-fix. static cling window films have been developed using innovative static cling technology to make application so quick and easy, you'll be amazed. The film adheres to the glass surface using water, which later dries out leaving a flawless finish with no air bubbles. Whether you're looking for some privacy for an overlooked window or would just like to add some decoration to plain glass, d-c-fix. static films offer a wide range of designs in varying sized rolls to fit any area of glass. d-c-fix. static window films can be peeled off leaving no residue and can be re-used. 338-0019 Home Décor Static Cling Window Film 17-inch x 59-inch Splinter - 2 Pack is rated 4.7 out of 5 by 3. Rated 4 out of 5 by Dianne from Nice pattern,privacy was good,allowed light in However the product started to peel in corners on a few pieces. We sprayed a sufficient amount of water and followed the instructions. So would appreciate more details for adhering to clean windows! Rated 5 out of 5 by KimJ from Great Product! Very satisfied. Easy install and no peel back after - even with plenty of condensation! Ordering for a 2nd window! Great deal. Rated 5 out of 5 by Gd from It does what it says. It does what it says.